How Safe Is Your Eco Liquid Dish Soap? As I was recovering from horrible reaction from a well-known brand of enzyme based laundry detergent, my skin was worse after I washed dishes. So, I began my search for a new hand wash dish soap. Since I don’t have a dish washer, a good and safe dish washing soap is very important. EWG (The Environmental Working Group) assessed my dish soap as a “C”, siting concerns on water pollution and skin irritation/allergies/damage. 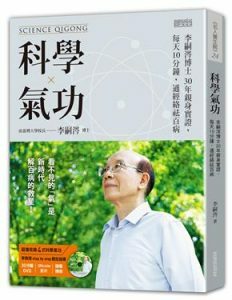 I never thought an well-known eco brand would put out products like this. I was so shocked, I had to pick up the bottle and read the ingredients myself. 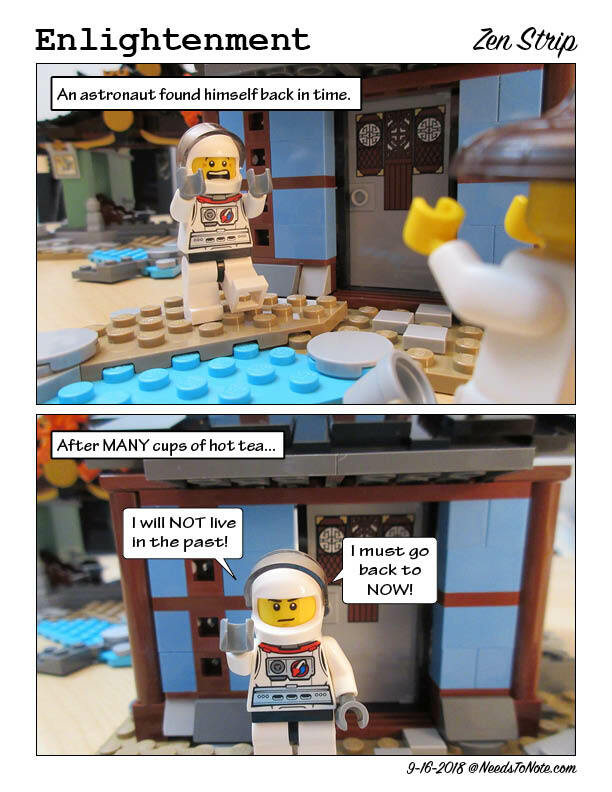 That’s when I realized I had been washing my dishes with SLS in the soap. I had been avoiding SLS in my body care products, I never thought to check my dish soap. I just blindly trusted the brand. And if I don’t want to use SLS on my skin, why would I put it in my body? 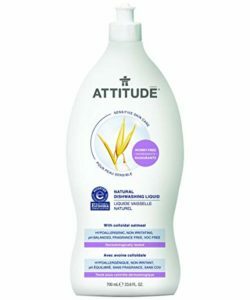 Luckily, EWG pointed me to the Attitude brand (from Canada). I purchased one bottle of their fragrance-free natural dishwashing liquid (Though not EWG VERIFIED, it’s rated “A”). It’s been 3.5 months since I switched to Attitude. It cleans as well as my old brand with the same amount of soap. And I am happy to report that my hands are no longer completely dried out. 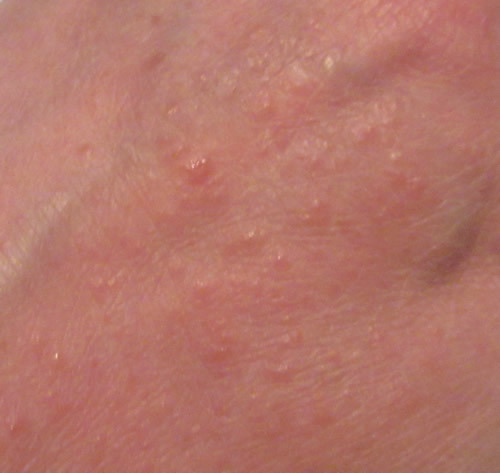 In fact, my skin feels softer! Both my body and I are glad we found EWG and Attitude but as with every new product, I suggest buying one to try then go from there. This fragrance-free dish soap seems to be harder to find than their other items on US sites, so the prices are pretty much the same as ordering from ATTITUDEliving.com. But if you rather get it via Amazon, put it on your wishlist and see if a deal comes up. How to Save on #attitudeliving? If you like it after using it and have the space, I suggest ordering bulk direct from ATTITUDEliving.com for amazing discounts. For free shipping order more than $60. 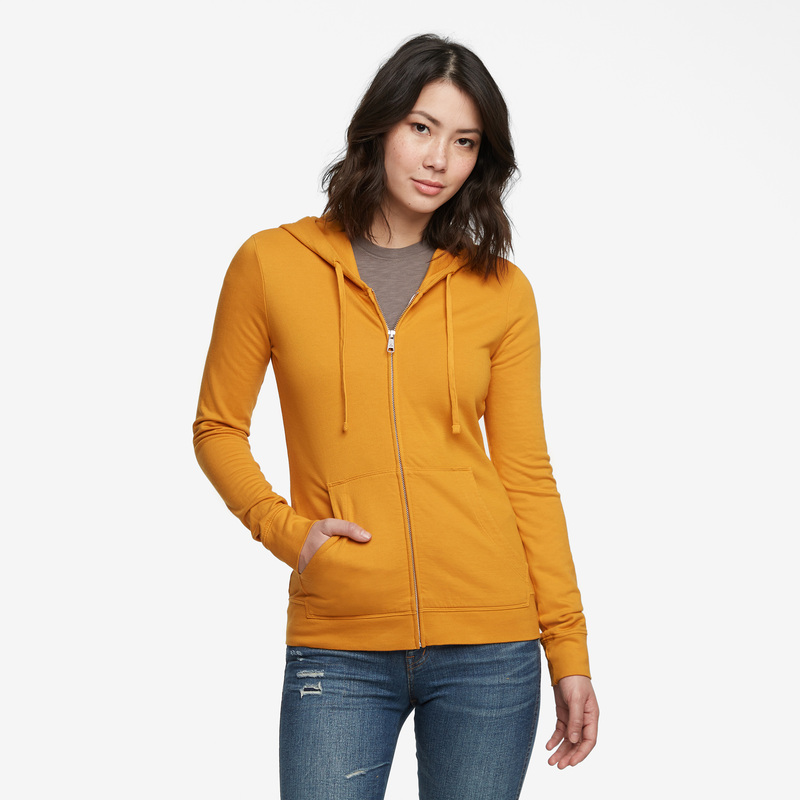 For order over $70 and above, you get up to 25% off + free shipping! 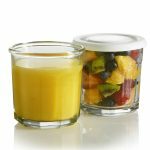 If you need a little push to get the free shipping, check out some of their EWG VERIFIED items and buy other test bottles. That’s what I did! Posted in Deepening Green, I Found This, Tips for Daily Life	| Tagged #attitudeliving, Attitude, dish soap, eco friendly, ewg.org, review, sls free, Sodium Lauryl Sulfate	| Comment? Since Rubbermaid Brilliance containers are a bit more pricey than the usual containers, I bought one on-sale to try. My Dad is very impatient when it comes to opening a package, so an opened pack of crackers (especially if there is a plastic tub inside) is often impossible to close back with a clip or a rubber band. Then the crackers would go stale pretty quickly. I gave him this container to dump the crackers in. After a week, the crackers are still pretty crispy. Not only that he kept the lid back on tight (unusal for him so he must had found the lid easier to close and open), most importantly, there where no longer a trail of crumbs on the floor. Often it was so tedious, I’d give up cooking which usually leads to me eatting junk. And my body is not taking the abuse any longer. I need to make it easier, I thought, my body has been pretty good to me, I must treat it with love and respect! After getting the bulk pack home, I would fill one of my Luminarc Working Glasses (also made in USA) and cover it with its lid. These easy-to-remove lids keeps it simple to keep me motivated to cook. And whatever is left, I’d put it in a Rubbermaid Brilliance container. For nuts, rice, seeds (things with more oil contents), I then put in the fridge. And they are pretty to look at! 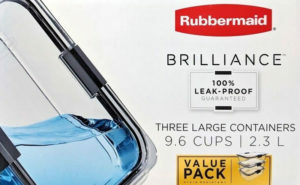 Though I only need the one size, I must mention that there are many, many different shapes and sizes of Rubbermaid Brilliance Containers to fill your needs. 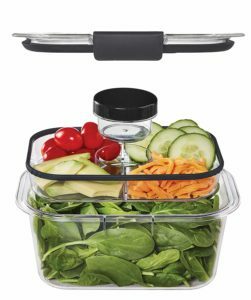 The Rubbermaid Brilliance Salad and Snack Lunch Combo Kit is an excelent example! I am so glad Rubbermaid continues to develop great products and actually kept the manufacturing for Rubbermaid Brilliance in the States. Keep up the good work! 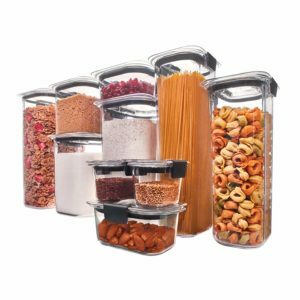 Posted in I Found This, Made in USA, Tips for Daily Life	| Tagged food container, made in USA, Rubbermaid Brilliance	| Comment? This is the most comfortable cotton t-shirt I’ve ever owned. I can feel the quality in this 100% cotton fabric, yet it’s light enough that it almost felt a linen shirt (I like my t-shirt loose fitting) only it’s not as see-thru. A win-win for me! 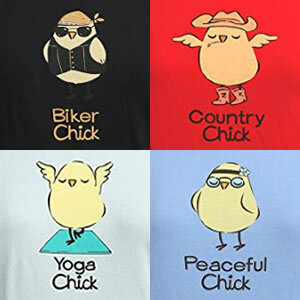 There are different designs that come with their own colors: “Biker Chick” in black; “Country Chick” in red; “Yoga Chick” in seafoam/gray; “Peaceful Chick” in white/light blue. 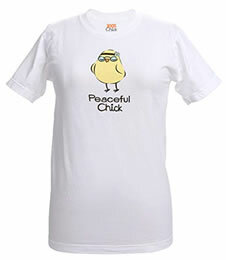 I have the “Peaceful Chick” in white. I am so happy to have found the USA made quality in this fun shirt! The t-shirt is relax fit, slightly more shaped than the classic cut, so if you like your t-shirt loose, get one size up, I did. If you are not sure about the sizes and designs, take advantage of the free shipping by ordering 2+ different sizes/designs to try it, then use the free return to exchange or order the ones that you like best. NOTE: Make sure you confirm the free return offer where the price is listed. I am not sure if it’s always going to be there. Posted in I Found This, Made in USA	| Tagged 100% chick t shirt, made in USA	| Comment? 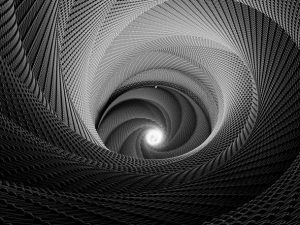 I have not been keeping up with this list and might be switching to list more non-fiction titles starting in 2019 because I am taking my life and this blog in a new direction. I do hope I will still keep listing but we will see. This year, I decided to stop comparing book counts from previous years. After all, reading is for fun and learning, not for torturing myself. Posted in I Read This	| Tagged book list	| Comment? Eco Plant-Based Scrubber Sponge: Greener Clean Or Full Circle? 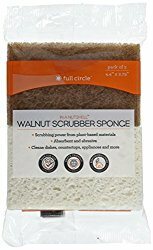 I was using Scotch-Brite Greener Clean Natural Fiber Non-Scratch Scrub Sponges for a few years then I switch to try Full Circle In a Nutshell Walnut Scrubber Sponges (Non-Scratch), mostly to see if how they would compare. The Greener Clean Scrub Sponges lasted longer for me. I just can’t throw a sponge away every few weeks. You are not suppose to nuke this sponge in microwave (as noted on the packaging), so I sanitize it by pouring boiling water on it after squeezing it dry. NOTE: I also use Scotch-Brite Greener Clean Absorbent Sponge. It is more spongy than the sponge part of the scrubber. 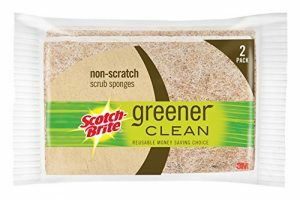 Posted in Deepening Green, Made in USA	| Tagged eco scrubber spong, Full Circle, Greener Clean, In a Nutshell, made in USA, Scotch-Brite	| Comment? 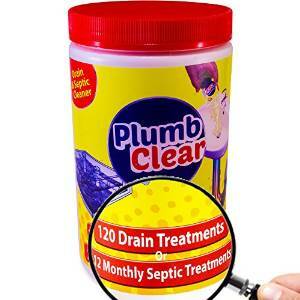 I first used PlumbClear to clean slow drains in my very old house. It worked like a charm. I was worried enough to consider dumping the powder right in the toilet but I held back. I used the [Septic Tank ratio]–2 scoops with 2 cups of warm water. I waited 2 nervous hours as instructed, poured it down the toilet and waited another 30 minutes before flushing. On the 2nd flush, the toilet was working again. What a relief! Once again, PlumbClear did a wonderful job and all without harmful chemicals! Posted in Deepening Green, Made in USA, Tips for Daily Life	| Tagged clogged toilet, drian cleaner, eco friendly, made in USA, PlumbClear	| Comment? 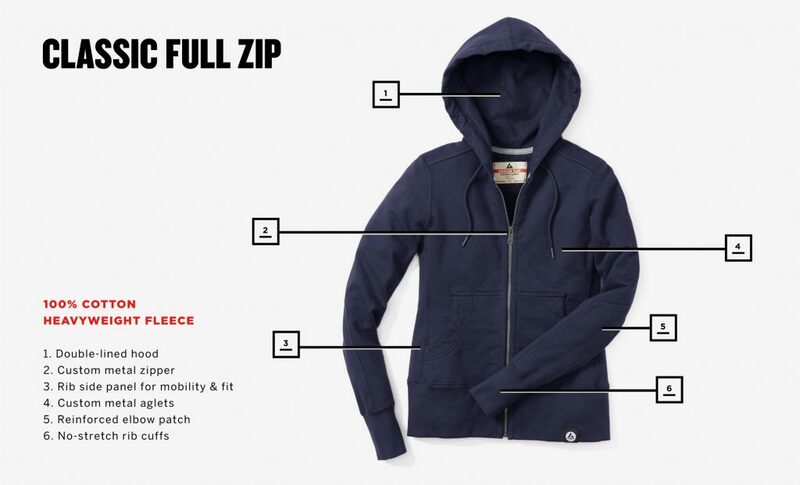 If you don’t already know, American Giant produces durable clothing using 100% USA materials and labor. USA made quality still means something to many around the world. Because they also pay extreme care in designing their pieces, they dare to offer lifetime warranty for full price items. I’m reviewing items I actually have tried or do wear. these are not cheap but it will last a long time, being a Konmari convert, not buying junk also helps me save money and live green. It did not work for me, I returned it. my aunt love dark colored longsleeve ones for layering yet they are stylish enough for indoors without other layers. Don’t Wait Too Long, Colors Changes Often! Be sure to check the size chart, though most returns are honored but free return shipping do take a week or two. Instead of exchanging items, they ask you to buy again and return the unwanted items. Posted in I Found This, Made in USA	| Tagged made in USA	| Comment? In 2016, I read 3 more books than I did in 2015. Since I’ve complete my Konmari cleaning process, I hope I will have read even more than in 2016. Wish me luck! The Fortune Teller by Gwendolyn Womack 2017 #1 Pick! The Jane Austen Project by Kathleen A. Flynn 2017 #2 Pick!